A few months ago I decided to read more often. I love to read, but it's something that I've been spending less and less time doing over the past few years. I thought it would be nice to start a thread on here where I can discuss what I've been reading and perhaps inspire some or hear suggestions from others. When I first set out to do more reading, I needed to decide what to read. When I pick a new book I essentially cross-reference three difference sources and look for something that piques my interest. The NPR lists give a wide sampling of what the genre has to offer and was compiled by listeners. Patrick Rothfuss is currently my favorite Fantasy author and I trust his recommendations will be worthwhile. Seriously, if you haven't read The Name of the Wind yet, stop reading this post and go pick it up. Seriously. I don't exclusively read sci-fi/fantasy, but I've been trying to focus on it with my recent reading kick because there are lots of great authors/books that I've been missing out on. I also enjoy historical fiction, memoirs, horror, classic literature, non-fiction such as sociology, history, etc. Some favorite authors from other genres include: Isabel Allende, J.M. Coetzee, Maxine Hong Kingston, Stephen King, Tim Wise and bell hooks. I'll be back to update what I've read recently and the new book I just picked up (and hope to start reading today). In the meantime, what are some of your favorite books/authors? How do you select a new book to read? I really like the Game of Thrones books by George RR Martin. Right now I am reading the Hunger Games and it is actually pretty good. The Hunger Games is definitely on my list of books to read. Being a middle school teacher, I have lots of students who enjoy that series. Right then, here's what I've accomplished as read thus far in 2012. 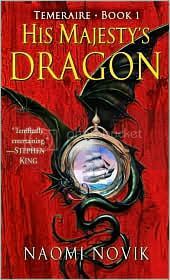 This is the first book out of the original "Dragonriders of Pern" trilogy. I recently discovered that there are now 19 Pern novels. Though I don't think I'll read all 19 of them, I did thoroughly enjoy this book. 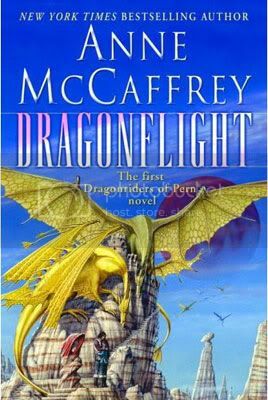 The world of Pern that McCaffrey created has a lot of depth, the characters are complex and memorable, and the plot has enough twists and turns to keep you engaged. I did find this book to be quite a challenge. McCaffrey has an extensive vocabulary and I found myself pausing every so often to look up the definition of a word. Fortunately, I read this on my Kindle and it has a dictionary feature built it. All you have to do is highlight the word and bam, insta-definition! Overall it was a good book and I learned a few new words along the way. I heard about this book through NPR's Best of 2011 list. It is considered a kid's book, but it has a lot to offer adult readers. I found myself quite enchanted and blazed through all 300ish pages in about four days. The writing was quite humorous and the plot was a fun adventure with a shocking ending. Definitely a book that I would recommend to readers of all ages. I know that Neil Gaiman is a prolific author, but I've never read any of his work. I did see the movie Coraline, and found it both creepy and intriguing. 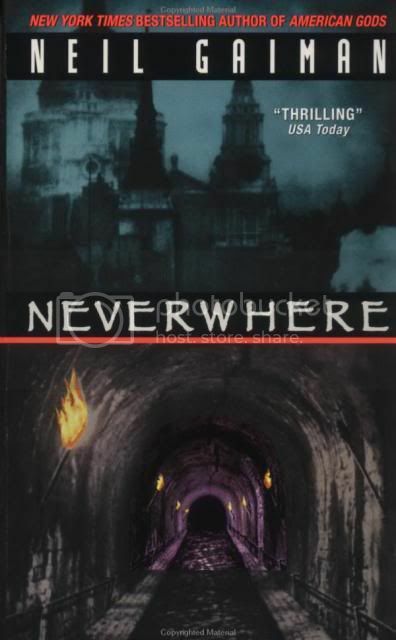 In looking up reviews of his books I decided Neverwhere was the place to start. OH. MY. GOD. This book is crazy awesome! This book has an intricate plot that keeps you guessing, a full range of memorable characters (even the bad guys are charming, in their own, sadistic way), and the blend of history and science fiction is beautifully artistic. I could not put this book down, and when I did, I could not stop thinking about it. It's one of those books that you're really sad when it ends. Not because it was depressing, but because you're going to miss the adventure it took you on. Best book of the three I've read thus far in 2012! I am not much of a reader but every so offen I get into a good book or even a series. I also like to have a few books out so I have a place to go after I finish one and not be left waiting a year or more before I can get my fix. So if you can relate to any of that I would have to offer my favorite series by Naomi Novik, the Temeraire series. Her books take place in the Napoleonic Wars and it's my understanding that she has won awards for her historical accuracy. 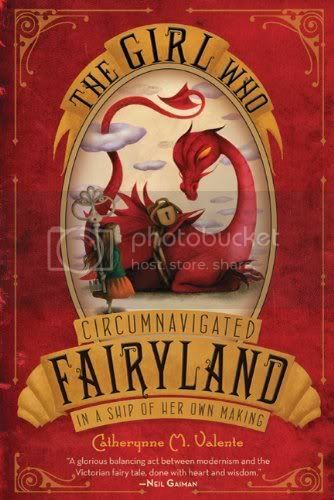 The only twist is that she has added the exsistance of dragons and the use of an airforce. Her 7th book in the series come out march 6th. Just my two cents if anyone is interested in giving it a try. I have a dream that one day we will not be judged by what race we play, but by the content of our character sheets. I love most things vampire, so no shock that 'Salem's Lot is one of my favorite Stephen King books along with The Dark Tower Series. But lately I read the new books that Guillermo del toro has gotten his fingers into. I've only read the first two, The Strain and The Fall. It's more of a Crichton-esque take on vampirism, so there's a decent amount of science involved. Other than that I've been pretty into the Percy Jackson books, as well as the Egyptian themed ones that Rick Riordan is writing. And on the more adult side have you ever read the Black Company books by Glenn Cook? Think of a fantasy setting with demi-god type villains but told from the narrative of someone with a military and tactical mind. Not all of my reading is sci fi and fantasy. Sometimes I like to learn stuff too. That is why I am reading End the Fed right now.